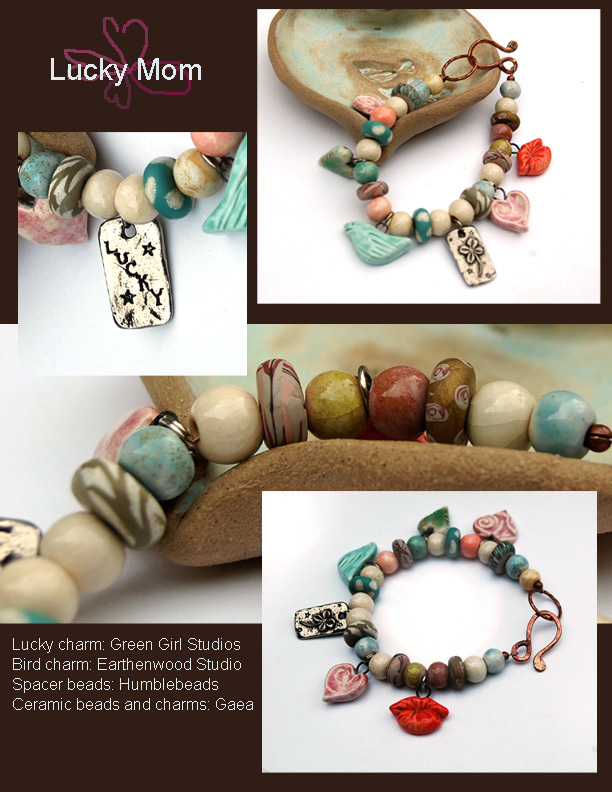 The memory of that bracelet made me think how lucky I am as a mom. The little sweet thing our children say and do, tinkle and shine like little charms in our hearts. As a parent, I am far from perfect, but I am perfectly lucky. 1. Add jump/split rings to charms and arrange your beads and charms into a balanced design. 2. Attach stringing wire to copper hook with a crimp bead. Cover crimp with crimp cover. 3. 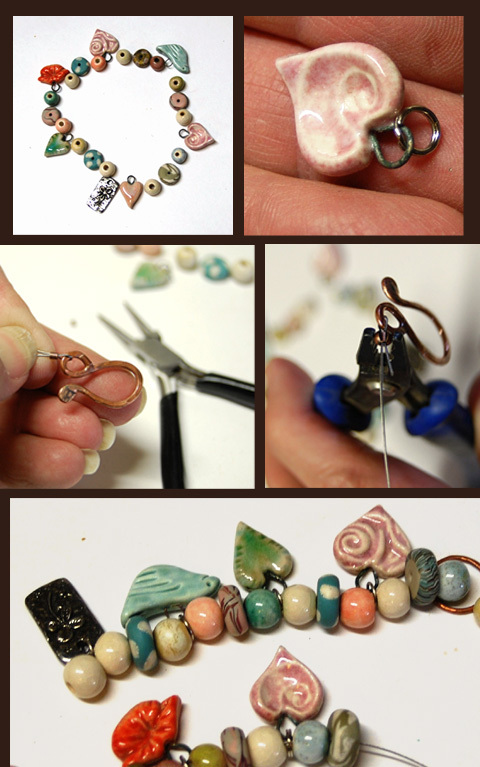 String beads and charms onto wire and add copper ring after final bead. 4. Close with crimp bead and cover. I am lucky to have many special memories with my mom and grand mother. What special jewelry memories do you have with yours? Before I got married, my mother gave me my grandmother's engagement ring. I was very close to her, so it was very special. The ring had a larger diamond, surrounded by 4 smaller ones. Because of damage to the larger stone, we had the ring re-made. The stones were re-set into a more modern setting and they were able to use the white gold from from my grandmother's ring and gold from my wedding ring. So I have a ring that suits my taste but still connects me to my beloved Nana. Thank you for this tutorial. If given the chance, and if the slot will be available, I want to feature this tutorial to our page as well.